Young American baritone Tim Renner recently performed Alidoro in Greenville South Carolina “boasting a rich resonant baritone.” He debuted with Vero Beach Opera as Eisenstein in their new Fledermaus in January and last summer at the Ravinia Festival performing five selected “Romances” by Rachmaninoff with the Ravinia Stearns Music Institute Program in their first concert of the season. Recent concert performances include Carmina Burana and Fantasia on Christmas Carols with the Eastern Symphony Orchestra at Eastern Illinois University, and the bass in the St. Matthew Passion with Sinfonia de Camera. Recent awards for MR. Renner include winner of the Mario Lanza Instiutue Scholarship for 2015-16, first prize at the S. Livingston Mather Scholarship Competition in Cleveland, Ohio, and 2nd prize at the Orpheus National Vocal Competition in Muurfreesboro, Tennessee (in 2013 and 2015). He has sung with such esteemed conductors as Eric Weimer of the Lyric Opera Chicago, and Eduardo Diazmunoz, Chair of conducting at the Sydney Conservatorium of Music. He has sung in various private recital settings in recent years as well. He was also a participant in Sugar Creek Opera’s Young Artist Program performing Die Zauberflöte and Faust. Future repertoire includes the lead role in Pelleas, Valentine in Faust, and Escamillo in Carmen which he will debut in Tokyo in a new production 2018. 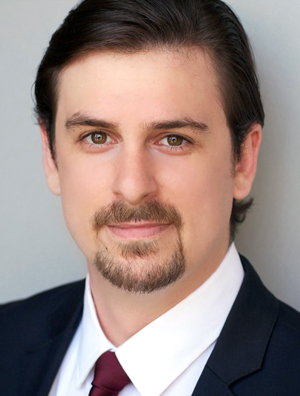 This season he will also debut the role of Zurga with Opera Tampa, Next season he debuts Lyric Opera of Kansas City as Marcello in La Boheme. .